Authenticity is Nick’s mantra when it comes to his work on our sales team. He loves launching organizations and individuals alike to achieve their goals and develop their people by introducing them to something new. He serves our clients and team with great energy. 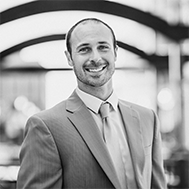 When you meet Nick, you can be sure that he’s genuinely excited to partner in growing your organization and clients.